Dont fancy a spell "inside" ...well NOW you do !! .... in the newly finished Old Exercise Courtyard of this old nick. Our client wanted a rustic design to reflect the nature of the building. 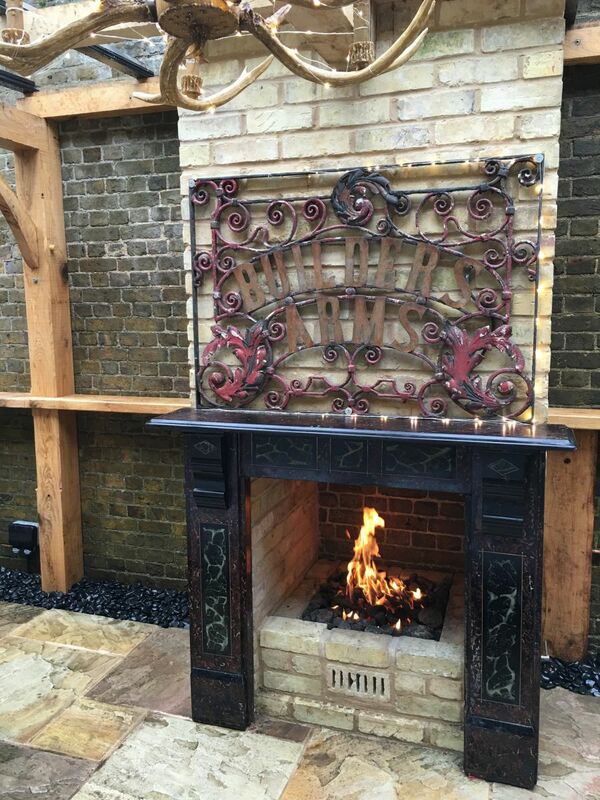 We have built in a gas fired fireplace and chimney, an oak kitchen unit with industrial style doors and butler sink. 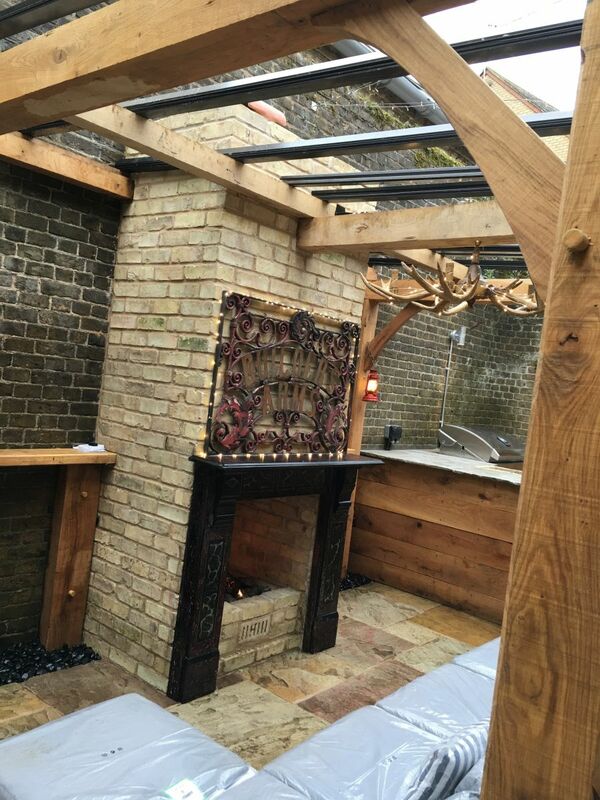 A bespoke oak pergola with glazed roof and led lighting around the pub sign etc. Old world war 2 lanterns were stuffed with wire LED to give a great effect on the shelves and the oak wall bar with its tractor seat stools. Tailor made cushions on the seating area finished off the effect.